Exciting times here for the Three Who Rule as it’s time for the first Miniscope of 2019! The subject is writer Jamie Mathieson, scribe of four stories from the Peter Capaldi era (“Mummy on the Orient Express”, “Flatline”, “The Girl Who Died” (co-written with Steven Moffat), and “Oxygen”). And in the news, reports of a new production designer for Series 12, a host of new and upcoming Doctor Who related media releases, and an important sale from the fine vendors who were to appear at the now cancel ReGeneration Who! With Brexit, the Mueller Report and many other swirls of uncertainty in our current climate, isn’t it nice to know that we can take you back to a more peaceful time, when all you had to worry about was predatory trees, crazed mine workers and a couple of renegade Time Lords? That’s right, we’re doing our first Classic Series Commentary of the year with “The Mark of the Rani!” Plus we have news from the Black Archive, Big Finish, and a chance for you (if you live in the UK) to work on Doctor Who! A new set of shiny Blu-ray discs stuffed with Doctor Who content is on its way to store shelves in the form of the Season 18 box set, the third such season set from BBC Studios. So we decided to talk again to Russell Minton, executive producer of the whole range for BBC Studios, about the Season 18 set, and about the future of the range in general. There is also talk of special screenings for “Logopolis” (in the US) and “The Macra Terror” (in the UK) that occurred this past week, and Bradley Walsh posing for selfies with everyone during some public filming for Series 12 in Wales! It’s a Radio Free Skaro episode to lose sleep over, quite literally this week, as Steven and Chris tackle the news of the week as well as daylight saving time while Warren, absent for various reasons, sits content in his time eddy, away from proceedings. The main event this week, though, is an interview recorded at Gallifrey One this past February with noted director Ben Wheatley, who helmed “Deep Breath” and “Into The Dalek” to usher in the Peter Capaldi era! It was a sad week in the Doctor Who fandom community as it lost Jennifer Adams Kelley, a titan involved with North American conventions since the 1990s. We pay tribute to her and her legacy with two of her dearest friends and fellow convention organizers, Shaun Lyon and Steve Hill. Graeme Curry, writer of “The Happiness Patrol”, also passed away all too soon. But to hopefully cheer us all up, we also present to you an interview from Gallifrey One with Radio Times Doctor Who poster artist and photographer Stuart Manning! The post-Gallifrey One concrud, blues and longing for the next Gallifrey One have begun, but that won’t stop the Three Who Rule from discussing the various tidbits of news that wandered over the transom over the last week, as well as an interview with Doctor Who DVD and Blu-Ray maestro Chris Chapman about the upcoming Season 18 Blu-ray set, plus some teasers about what is to come! And as an added bonus, the Randomizer is hauled out to select the first Classic Series Commentary and Miniscope instalments for the upcoming year! And send flowers, sympathy and lozenges to Steven’s voicebox! Another Gallifrey One is in the books! 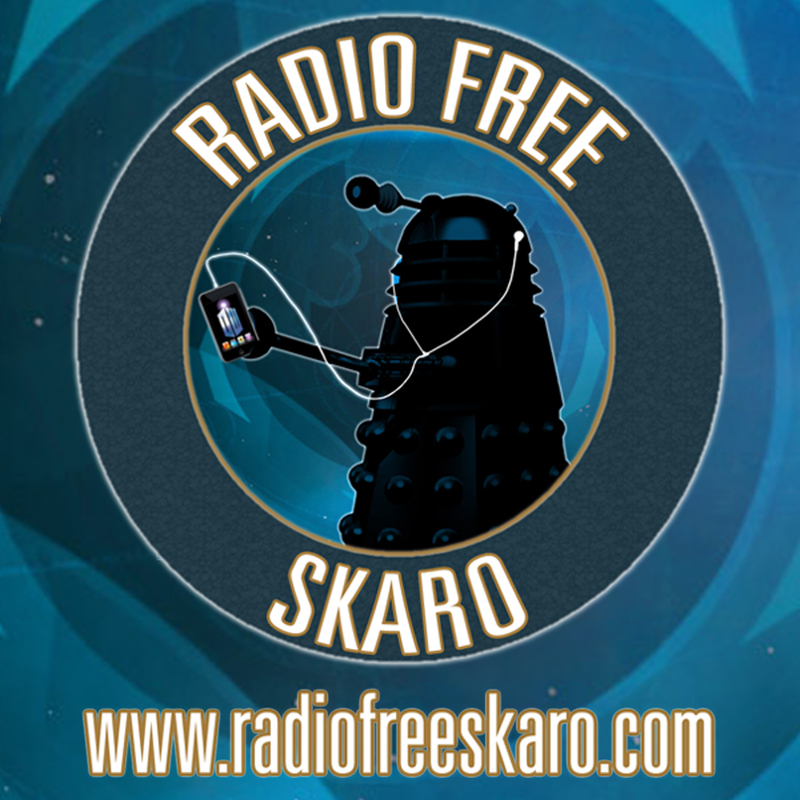 Listen as a weary Three Who Rule recap their weekend, beginning with the Radio Free Skaro live show on the Friday, through to all the panels, interviews, and discussions had by all throughout the weekend. And also enjoy a double-bill interview with Series 11 directors Jamie Childs and Wayne Yip! The most wonderful time of the year for the Three Who Rule is upon us as the 30th edition of Gallifrey One is right around the corner. Before we look ahead to this year's event next week with our annual Gallifrey One preview show, join us as we take a look back at the previous ten years of the convention and our experiences with it, and how the greatest Doctor Who convention on Earth has helped make this podcast what it is today. With Gallifrey One Month almost upon us, there's only one more chance for STATS! to make Warren's life a living hell, and the other Two Who Rule jumped at the chance like the animals they are, but also found the kindness to share with you, dear listener, news of Big Finish, Series 12 filming in South Africa, and one David Tennant starting his own podcast of chinwagging with his actor friends. Plus we have the last of our Chicago TARDIS interviews, with none other than Catrin Stewart! The last (sniff) stats update for the season, Gallifrey One news, Dalek novelizations, and Dalek vinyl releases are all in the mix in this week's news, but the meat of the matter is an interview with director Wayne Yip, who ushered New Year's special "Resolution" onto our screens! Join Mr. Yip as he discusses stunt driving pod cars, remote control Daleks, the logistics of directing, and more! Have you ever wanted to see block transfer computation on the big screen? Your time has come as "Logopolis" hits theatres this March in the US and the BFI in February in advance of the release of the Doctor Who Season 18 box set! And as if that isn't enough deep dive craziness, Big Finish is going to fill your summer with stories of the War Master and the Eighth Doctor politely nodding at each other and perhaps battling for the fate of the universe. Plus tales of tat, accolades and awards, and an interview from Chicago TARDIS with Vincent Van Gogh himself, actor Tony Curran! Don't think for one minute that a lack of Doctor Who is going to stop us from examining the viewing figures for "Resolution" in staggering (some would say pointless) detail, along with the surprising return of Doctor Who to Twitch, new Gallifrey One guests (including RFS favourites like directors Wayne Yip and Rachel Talalay), and most importantly an interview with the Man of A Thousand Voices (and of course the Daleks), Nicholas Briggs! Listen or be exterminated! After waiting a whole series for a classic Doctor Who monster to rear its ugly noggin and fight the Time Fam, the OG Badass of Whodom, one D.Alek itself made a splash and racked up a pretty serious body count in "Resolution," the New Year's Day special and the last new Who we'll see in some time. So what did Steven, Chris and Warren think of this murderous romp through Sheffield and various dank interiors? Fetch some peanut butter to grease geo-feudal locks, sit down with a nice glass of mulled wine and a custard cream, and enjoy! This holiday season, Radio Free Skaro is presenting a Fluid Links Advent Calendar! Every day from December 1 until December 24, we'll discuss one topic from our list provided by you, the listeners. Today: Day 10. With mere days to go before the Doctor Who New Year's Day special, "Resolution", the Three Who Rule (and their LEGO Fluid Links doppelgangers) are getting antsy, but at least there's plenty of news to delve into, including Gallifrey One updates, more stats, additional Christmas content from both the BBC and Doctor Puppet, and most excitingly, an interview from Chicago TARDIS with director extraordinaire of both Classic and Modern Who, Graeme Harper! Listen and be filled with pace and energy! This holiday season, Radio Free Skaro is presenting a Fluid Links Advent Calendar! Every day from December 1 until December 24, we'll discuss one topic from our list provided by you, the listeners. Today: Day 23. This holiday season, Radio Free Skaro is presenting a Fluid Links Advent Calendar! Every day from December 1 until December 24, we'll discuss one topic from our list provided by you, the listeners. Today: Day 22. This holiday season, Radio Free Skaro is presenting a Fluid Links Advent Calendar! Every day from December 1 until December 24, we'll discuss one topic from our list provided by you, the listeners. Today: Day 21. This holiday season, Radio Free Skaro is presenting a Fluid Links Advent Calendar! Every day from December 1 until December 24, we'll discuss one topic from our list provided by you, the listeners. Today: Day 20. This holiday season, Radio Free Skaro is presenting a Fluid Links Advent Calendar! Every day from December 1 until December 24, we'll discuss one topic from our list provided by you, the listeners. Today: Day 19. This holiday season, Radio Free Skaro is presenting a Fluid Links Advent Calendar! Every day from December 1 until December 24, we'll discuss one topic from our list provided by you, the listeners. Today: Day 18. This holiday season, Radio Free Skaro is presenting a Fluid Links Advent Calendar! Every day from December 1 until December 24, we'll discuss one topic from our list provided by you, the listeners. Today: Day 17. With no new Doctor Who until New Year's Day in the form of "Resolution", how will the Three Who Rule cope with their withdrawal pangs? Why, by celebrating the arrival of the Number of the Beast, Episode 666, with a commentary for the Series 2 episodes "The Impossible Planet" and "The Satan Pit", two of the most devil-centric episodes ever! (And also two of the best Doctor Who episodes ever!) Yes, we're aware of the Daemons pedants, move along. Plus we have Series 11 Blu-Ray news, Series 11 soundtrack info, some tat discussion, and possibly even scarier than ol' Scratchman himself, stats! - "The Impossible Planet" - "The Satan Pit"
This holiday season, Radio Free Skaro is presenting a Fluid Links Advent Calendar! Every day from December 1 until December 24, we'll discuss one topic from our list provided by you, the listeners. Today: Day 16. This holiday season, Radio Free Skaro is presenting a Fluid Links Advent Calendar! Every day from December 1 until December 24, we'll discuss one topic from our list provided by you, the listeners. Today: Day 15. This holiday season, Radio Free Skaro is presenting a Fluid Links Advent Calendar! Every day from December 1 until December 24, we'll discuss one topic from our list provided by you, the listeners. Today: Day 14. This holiday season, Radio Free Skaro is presenting a Fluid Links Advent Calendar! Every day from December 1 until December 24, we'll discuss one topic from our list provided by you, the listeners. Today: Day 13. This holiday season, Radio Free Skaro is presenting a Fluid Links Advent Calendar! Every day from December 1 until December 24, we'll discuss one topic from our list provided by you, the listeners. Today: Day 12. This holiday season, Radio Free Skaro is presenting a Fluid Links Advent Calendar! Every day from December 1 until December 24, we'll discuss one topic from our list provided by you, the listeners. Today: Day 11. "The Battle of Ranskoor Av Kolos" is upon us, and with it comes the end (almost) of Series 11, Jodie Whittaker's first run as one Doctor Who, and the Time Fam's dramatic arcs (such as there are) more or less..concluded? So what did the Three Who Rule think of this episode, the new series, Chris Chibnall's efforts as Doctor Who showrunner and all other permutations thereof? Plus news of a quite Christmas-y nature, a title for the New Year's Special, some Who-adjacent neatness and more! This holiday season, Radio Free Skaro is presenting a Fluid Links Advent Calendar! Every day from December 1 until December 24, we'll discuss one topic from our list provided by you, the listeners. Today: Day 9. This holiday season, Radio Free Skaro is presenting a Fluid Links Advent Calendar! Every day from December 1 until December 24, we'll discuss one topic from our list provided by you, the listeners. Today: Day 8. This holiday season, Radio Free Skaro is presenting a Fluid Links Advent Calendar! Every day from December 1 until December 24, we'll discuss one topic from our list provided by you, the listeners. Today: Day 7. This holiday season, Radio Free Skaro is presenting a Fluid Links Advent Calendar! Every day from December 1 until December 24, we'll discuss one topic from our list provided by you, the listeners. Today: Day 6. This holiday season, Radio Free Skaro is presenting a Fluid Links Advent Calendar! Every day from December 1 until December 24, we'll discuss one topic from our list provided by you, the listeners. Today: Day 5. This holiday season, Radio Free Skaro is presenting a Fluid Links Advent Calendar! Every day from December 1 until December 24, we'll discuss one topic from our list provided by you, the listeners. Today: Day 4. This holiday season, Radio Free Skaro is presenting a Fluid Links Advent Calendar! Every day from December 1 until December 24, we'll discuss one topic from our list provided by you, the listeners. Today: Day 3. The Time Team go to Backwards Land this week in the latest episode of Doctor Who, "It Takes You Away", but is it an emotional roller coaster, a tribute to Norwegian amphibians, a confusing mess, or all of the above? Join the Three Who Rule as they leap through a portal into a world of bon mots, badinage and bafflegab! Plus stats (in Norwegian) and the return of the RFS Advent calendar, now with bonus Youtube and LEGO! This holiday season, Radio Free Skaro is presenting a Fluid Links Advent Calendar! Every day from December 1 until December 24, we'll discuss one topic from our list provided by you, the listeners. Today: Day 2. This holiday season, Radio Free Skaro is presenting a Fluid Links Advent Calendar! Every day from December 1 until December 24, we'll discuss one topic from our list provided by you, the listeners. Today: Day 1. It's time to find some witches with the Three Who Rule as Doctor Who and the gang/team/fam navigate superstition, 17th century sexual politics and an extremely flirtatious King James in "The Witchfinders"! Plus stats, which sounds uncomfortably close to "Satan," actual Satan with Tom Baker adapting his barking mad idea "Scratchman" into a novel, Big Finish scheduling their releases well into the End Times, and surely the greatest harbinger of the Apocalypse, a new 13th Doctor Funko Pop without a coat. WHAT DOES IT ALL MEAN!?! NO COAT!! The Doctor and her Time Pals sign up as temporary wage scoundrels at the titular "Kerblam!" (aka Space Amazon) and the Three Who Rule are here to tell you what they thought of this treatise on modern work, robots and bubble wrap along with news, stats, a special shift from Christmas to New Year's Day and more! So fire up this podcast and get in line for Black Friday, Cyber Monday and whatever other arbitrary celebration of consumerism keeps annoying "teammates" from pestering you about productivity! On the 100th anniversary of the Armistice being signed, it seemed fitting on the day of Remembrance that the tone of this week's Doctor Who struck a more sombre tone, and that's exactly what we got in "Demons of the Punjab", written by Vinay Patel. The Three Who Rule give their thoughts on the episode, as well as all the news of the week that was, including an expanded stats section! The Doctor and her fam...errr, TARDIS Team land back in Sheffield and smack dab into spiders, ethically dubious American businessmen and RTD-level family drama in "Arachnids in the UK", the latest instalment of the eleventh series of Doctor Who. Will the quintessentially Whovian juxtaposition of the domestic with the deeply weird engage the Three Who Rule, or will arachnophobia turn to eight-legged tedium? You won't know until you listen! Also, stats. Harrumph.